A special presentation by the Bridgewater College Choir will be during worship on March 31, at 11:00 am. Both congregations at 300 N. Montague St., Bethel UCC, and Arlington COB will be joining in worship at that hour. There will be no Sunday school that morning. 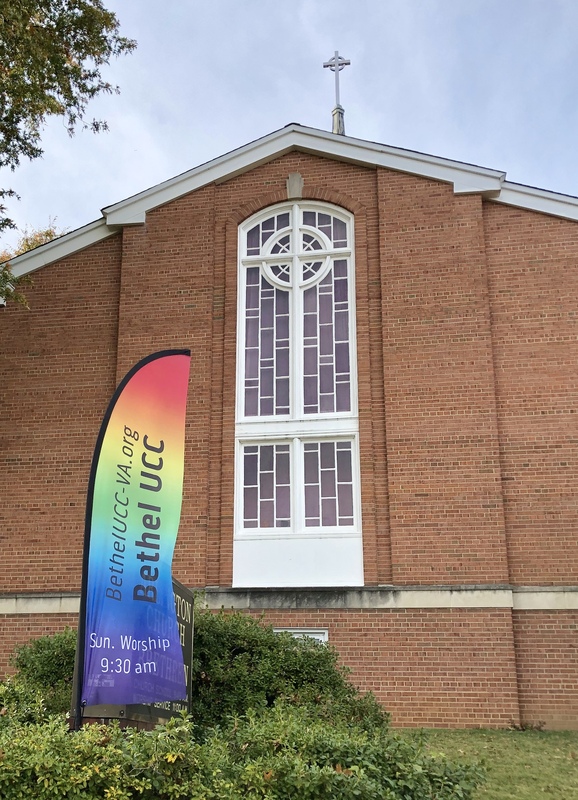 Bethel’s welcoming and inclusive worship continues to be at 9:30 am each Sunday. 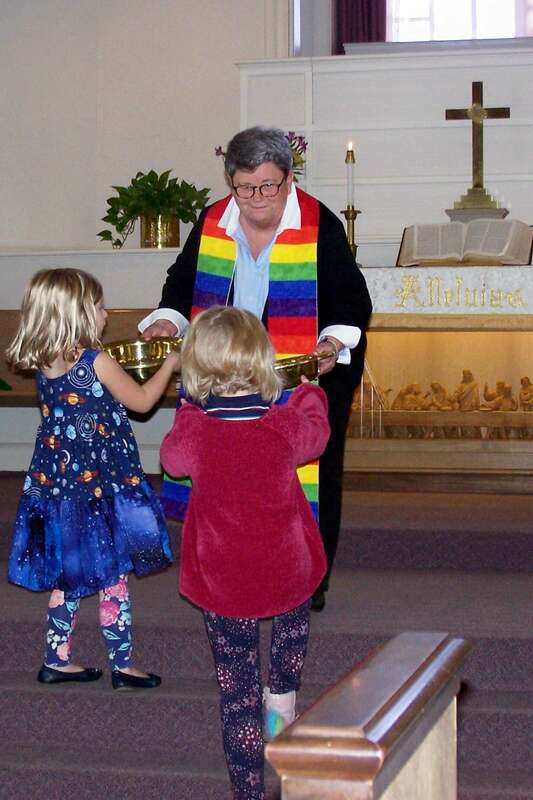 Children are invited to attend Sunday School at 9:45 following a moment with children in the worship service. 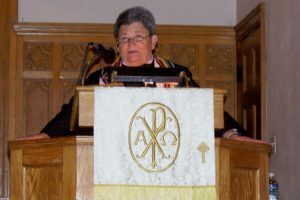 Bethel’s designated Pastor Anne Holmes challenges us every week with a current interpretation of Jesus’ teaching. Often the preaching is from the Gospels and this year the Lectionary cycle is in Year C or The Gospel of Luke. On Ash Wednesday, March 6, an evening worship service with ACoBrethren will be held as we enter the season of Lent. Ashes will be available for those who wish it. There will be a special lenten emphasis that is announced and coordinates with devotional materials for use at home. You are invited and welcomed to come as you are – just the way God loves you! Please contact the office at 703-825-5557 or email Pastor Anne Holmes at aeholmes416 AT gmail . com if you have questions or wish to schedule a meeting with her. 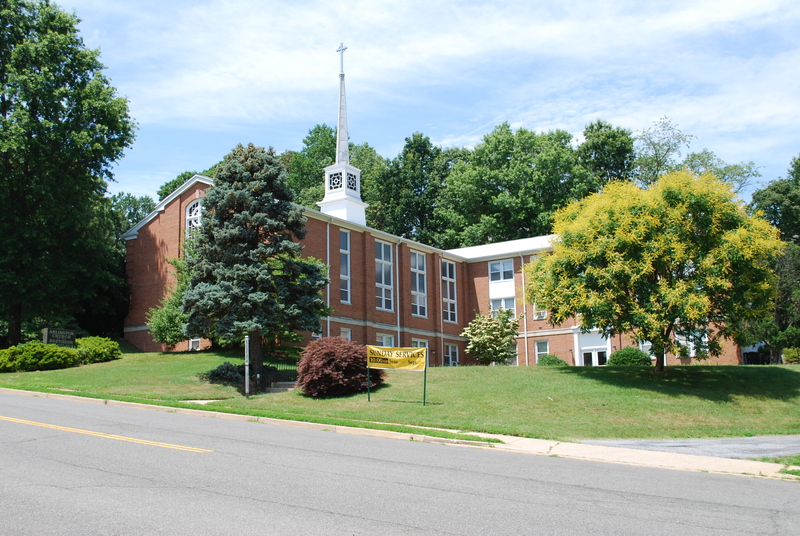 Bethel’s welcoming and inclusive worship is held at 9:30 am each Sunday. Children are invited to attend Sunday School at 9:45 following a moment with children in the worship service. After worship we share simple refreshments either downstairs in the Fellowship Hall or upstairs in the “Bethel Room”. 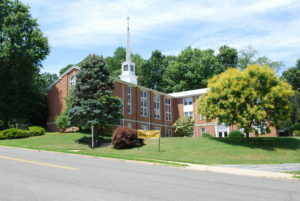 Arlington Church of the Brethren’s children are also part of the Sunday School at 9:45. ACOBrethren worships at 11:00 am. Sometimes we join together for worship. In those cases the children meet at 9:45 and joint worship is at 11:00 am. This coming Sunday, Nov. 11, is one of those opportunities where both congregations want to hear David Radcliff of New Community Project. Come at 9:45 or 11:00 or both! You won’t be sorry. Uncategorized Comments Off on We Moved! The first worship at our new location is September 2nd at 9:30 am. 300 North Montague Street, Arlington, VA 22203 in the Boulevard Manor neighborhood. All are welcome to join us! Sunday, August 20 Bethel UCC will host an ecumenical worship service at 10 a.m. with Arlington Forest United Methodist Church and Arlington Church of the Brethren. All are welcome; services will be at 10 a.m. and there will be childcare. Come for a great services, enjoy good singing and stay for the fellowship. The Arlington Children’s Chorus will sing at this ecumenical community worship at Arlington Forest UMC, 4701 Arlington Boulevard. 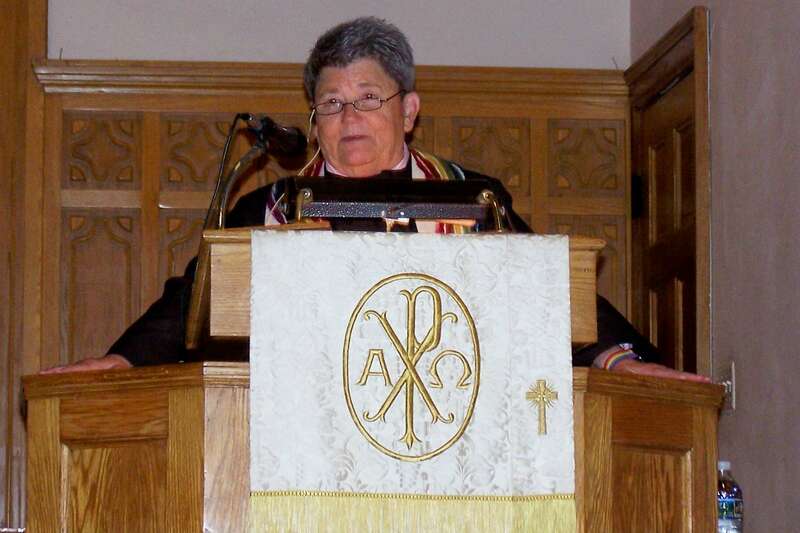 Participating congregations are Bethel, AFUMC and Arlington Church of the Brethren. Parking is tight so consider walking from Bethel or car-pooling. Strawberry Festival – this Saturday! Uncategorized Comments Off on Strawberry Festival – this Saturday! Bethel’s annual Strawberry Festival will be this Saturday, June 6 from 11 am to 3 pm. Strawberry shortcake, hot dogs, hamburgers, a bake sale, children’s activities, and more! An attic sale begins at 10 am in front of the church–come early for best bargains! Weather permitting, this fun event will be held outdoors in the shady area next to the church building. If rain occurs, we will move inside to our Social Hall. The money raised from this 50+ year annual event supports the Red Cross and Bethel’s ongoing ministry. Parking is available in the lot at the adjacent Red Cross building. You are cordially invited to join us for Maundy Thursday, Good Friday and Easter morning worship services. Details here. With the current weather predictions we plan that there WILL BE worship tomorrow Sunday, February 22nd at 10 am at Bethel. Please use utmost caution if you are able to join us. We expect it will be rather slippery. Our first priority is to safety.